Q: I’m excited to start wedding dress shopping, but I’m a bit overwhelmed—there seem to be new bridal shops popping up left and right. Where should I start? 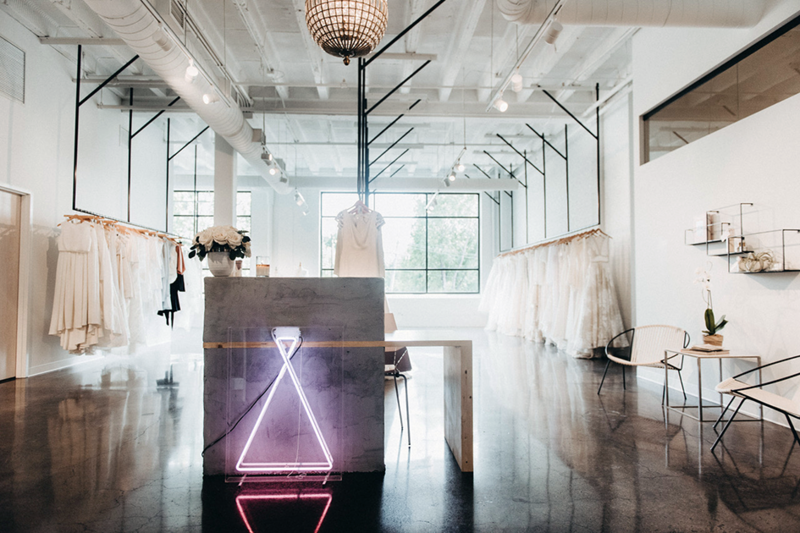 A: Yes, the Twin Cities are bursting with incredible new bridal boutiques, along with old favorites. This is great news for you—so many choices! Amy Fuerstenberg, co-owner of Mi Mi Design, keeps an eye on the bridal boutique scene to help give her brides great advice as they begin searching for their dream gown. Her first piece of advice? Do your research, then book your appointments. Make appointments at two to three bridal shops based on their style, the designers they carry and the price range. This will help you find a dress that suits your taste and your budget. a&bé bridal shop for modern, indie and romantic designs. The White Room for unique, fashion-forward gowns and a focus on smaller, up-and-coming designers. Annika Bridal Boutique for a combination of classic and contemporary gowns. Modehaus for one-of-a-kind, custom-made bridal gowns. m. Elizabeth Bridal for a curated collection of luxury gowns and exceptional service. Bridal Accents Couture for a selection of high-end gowns for both trendy and classic brides. Che Bella for classic designer gowns with a strong focus on handmade accessories and new and vintage jewelry. Flutter Bridal Boutique for a hand-picked collection of moderately priced, unpretentious bridal gowns. Joynoelle for a signature bridal line and custom-made gowns by owner Joy Teiken. Q: I’ve just started wedding planning and it seems that every venue is booked for our preferred dates. I’m at my wit’s end—what do we do? A: Take a deep breath (and maybe a sip of wine). You’re not alone, and you absolutely have options. First things first: It’s important to decide whether a specific venue or a specific season is more important. There’s no right or wrong answer. Kung and Seymour recommend immediately determining a list of venues that fit your budget and can accommodate your guest list. This will help narrow your search and ensure you’re pursuing venues that are a good fit. Contact the venues on your list and check availability. Be forewarned that many venues will have highly limited availability during peak months, especially if you’re intending to book a date within the coming year. Considering uncommon locations like restaurants and community centers might be just the trick. If you’re set on getting married on a specific day of the week that isn’t available during your first-choice month, consider getting married a different month, or even a different season. With Minnesotans embracing the colder weather, winter weddings are becoming more popular, and venues and vendors are offering new options for couples who choose to wed in the snow. If you’re set on a specific season, Kung and Seymour still recommend being flexible with the day of the week. This will likely allow you more options when it comes to finding a venue with openings. A sunny Friday-afternoon June wedding is just as lovely as a June wedding on a Saturday. Q: My fiancé and I are working on our invitations, and we want them to stand out. Any tips for fun and unique invites that will engage our guests? A: No two loves are exactly alike, no two weddings are exactly alike. So why should invitations for two weddings be the same? The sky’s the limit on how to differentiate your wedding invitations, Panke says. What are you passionate about that you want to share with your family and friends? 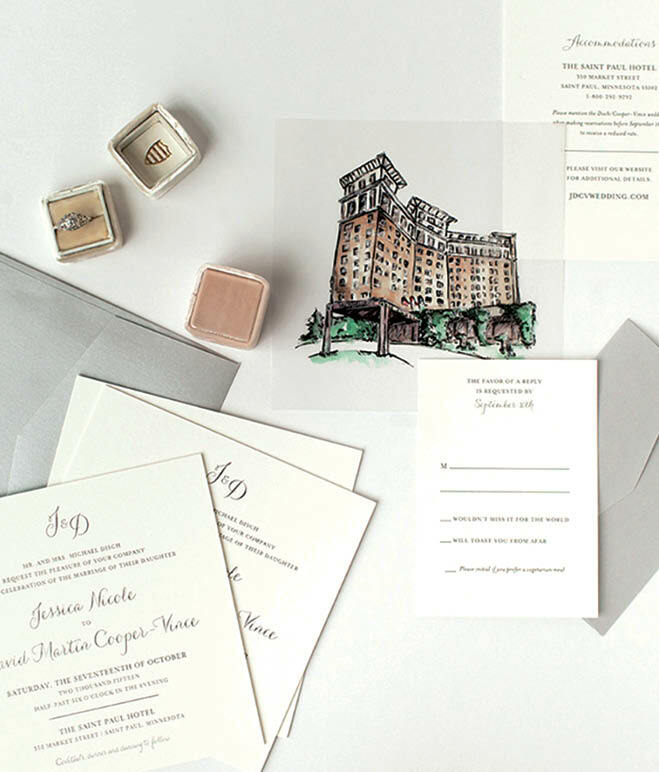 Once you’ve determined that, think about how you can incorporate it into your invitations. Can you tweak the wording to reflect you and your interests or personal style? Is there custom artwork you might want to use? Perhaps a monogram? Or special printing or packaging? Q: We’re excited to have a big, festive reception with our extended family and friends, but we’d like for our ceremony to be small and semi-private. Is it rude to invite people to our reception only? A: The short answer? Not at all. If you’ve read this column before, you know our biggest advice to every bride and groom is to plan the wedding that they want, because at the end of the day, it’s your day. This couldn’t ring truer than for the ceremony. Your invitations are the perfect way to let your guests know what your wishes are for your wedding day. To avoid any confusion, Bollis suggests ensuring your invitation clearly states that you have decided to have an intimate ceremony. Highlight that you are excited to celebrate at the reception, which will follow an intimate or private ceremony with family. If you’ve decided to elope and have a party months later, avoid using the word “reception” on your invitation, as that still typically implies that the ceremony happened earlier that same day (and trust us, you don’t want to spend your entire party explaining to your guests that you eloped weeks or months before). Consider making a big announcement at the beginning of your party to share your elopement with your guests, or perhaps have photographs or a slideshow available at the venue so your guests can experience your day. Q: We don’t want to make our groomsmen rent tuxes for our wedding. What are some other options for making our wedding party menswear look cohesive? A: If there was ever a time to be particular about an outfit, your wedding is that time. To get started, have your fiancé decide what he wants to wear. Suit, tuxedo, sport coat or even a button-down shirt with no coat at all? A tie? A bow tie? He has options. For inspiration, scroll through Pinterest or flip through wedding magazines. Once he’s decided on a wedding-day look for himself and the groomsmen, it’s time to alert the gents. 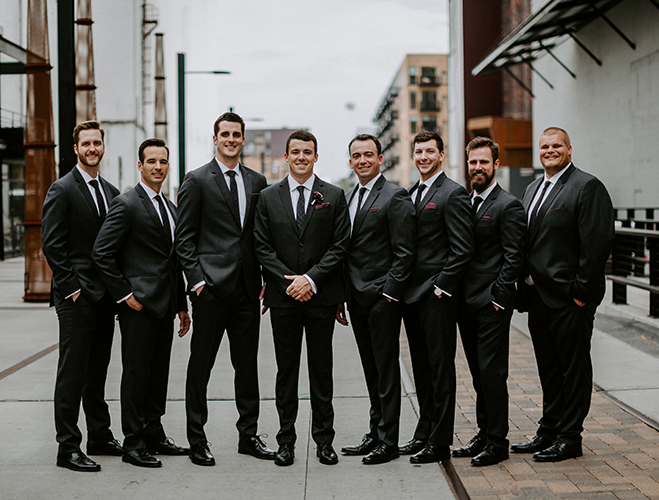 If you’d like your groomsmen to wear the same suit, consider purchasing from a larger retailer that will have vast inventory and maybe even multiple locations for them to visit and try on the suit before buying. Many companies like J.Crew and Indochino will help coordinate suit purchases for a wedding party and can provide suggestions on sizing and when to order. If your groom is open to groomsmen buying a specific color suit but from a variety of locations, send photos or other examples of what the suit should look like. Be sure to provide information on the pattern, material, color, style and even shoes—the more information, the better. For either option, ensure you let your groomsmen know about your plans well in advance to allow them adequate time to purchase and get alterations if needed.